In Panem, a dystopian, post-apocalyptic future North America, twelve Districts must offer up, at random, two young Tributes to compete in the Hunger Games. The televised battle to the death, which only one Tribute can survive, provides a reality television spectacle for the wealthy and powerful citizens of the Capitol. The regular demonstration of force it represents, the resulting constant terror, and their own complicity with the ritual serve to undermine the Districts' willingness to rebel. Katniss Everdeen, a young woman from the most peripheral and perhaps the poorest District, volunteers in place of her younger sister. In order to survive Katniss must navigate the dangers posed by the Arena and her fellow contestants, as well successfully spin the media narratives that give shape to the Games. Based on the first novel in the Hunger Games trilogy by Suzanne Collins ( The Hunger Games , 2008; Catching Fire , 2009; Mockingjay , 2010), The Hunger Games succeeds on almost all fronts. Like the book it is very well paced, and for a movie about children dying in a post-apocalyptic dystopia, it is surprisingly enjoyable. It feels like a film in its own right, not a poor translation of the book (see the plodding first Harry Potter film for stark comparison). More adventurously shot and constructed than your average mass audience blockbuster, The Hunger Games uses such devices as hallucinatory voiceovers, such as when Katniss stumbles through the forest, suffering from the psychotropic effects of genetically engineered wasps' stings. It employs disorienting but well juxtaposed cut-scenes at key moments—in its opening scenes, we snap back and forth between Katniss hunting and commentators hyping up this year's games, her raw, essential need contrasted with the Capitol's manufactured, coiffed, frivolous barbarity. Perhaps the challenge of depicting the gory deaths of children while not losing its PG-13 rating fostered a general sense of muscular cinematic creativity on the film. The costuming and sets aren't just visually interesting, they also expand on worldbuilding elements that the fast-paced, tightly focused text had no room to fully detail, like the Capitol's architecture and the symbology of power it employs. The visual language of the film juxtaposes unfathomably cavernous live audience pits, Fifth Element -style costuming and militaristic public plazas in the Capitol against the timeless, faded-palate Appalachia (with CCTV) of Katniss's home District. These visuals do excellent worldbuilding, showing us elements of a coherent but deeply problematic society, and expand on the book's treatment of surveillance, media culture, stratification and power, somewhat like Stanley Kubrick's visuals did in his adaptation of A Clockwork Orange . The Hunger Games 's main problem, insofar as it has one, is what it was always going to be—what it could never not be. For the visual medium, we must sacrifice some degree of access to Katniss's consciousness. This might not seem that great a loss. Some who like the books say they've never warmed to reserved, gruff Katniss herself. I see this as something of a Wooster-and-Watson fallacy. In both cases some readers are willing to regard these men as complete idiots bumbling through good stories, forgetting that readers' experience of the stories, including every keen observation or fine turn of phrase, as well as everything we know about the world, comes solely through the cognitive lenses of these narrators. 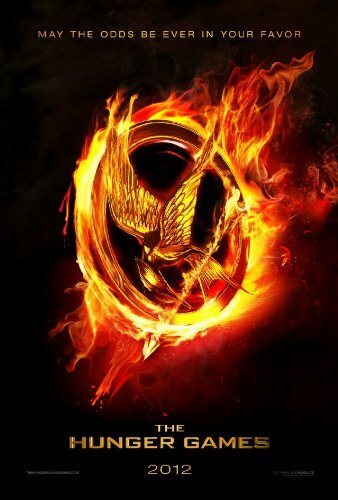 Lots of the clever and compelling elements of the novel are located in Katniss. Katniss distrusts the potentially performative feelings of her fellow tribute Peeta, who claims to be romantically interested in her in front of a live studio audience. She tries to present herself successfully as a "character" so she can win hearts and minds (and thus a chance to live). Nevertheless our brave, flinty Katniss also believes the chat show host who helps package the Hunger Games' pretense of being sympathetic to the tributes—despite understanding that he works for the system and has been willingly profiting from the mass deaths of children for decades. Without access to Katniss's thoughts, this deeply unnerving component of the book doesn't quite translate into the film version. We also lose much of the book's tension as to what degree Peeta might be trying to exploit or deceive Katniss in order to promote himself. While this thread can be somewhat annoying in the book (Me? But who could love me, an attractive, dedicated, intelligent huntress and the hottest thing in my District?! Woe! I do not believe you! ), it also helpfully furthers the novel's conversation about contemporary adolescents forming and performing selfhood, and trying to ascertain a sense of the genuine within a media culture. In the book Katniss questions whether Peeta genuinely likes her, or is undermining her, or both, or neither, and why. The unease this provokes as to what is true here and what truth means in this uncomfortably familiar Real World/Panem Idol/Gladiatorial Pageant context is compelling, and feeds into the book's layers of unreality and collusion. The film must forsake this element of thematic richness. Perhaps more importantly, due to our diminished access to Katniss, the plot becomes confusing here for people who have only the movie as their text. My partner, who hasn't read the book, said she didn't think the film established Katniss and Peeta's romance very well, and that it wasn't very convincing. I hadn't realized that people who'd only seen the film might believe they were supposed to be wholly convinced. Katniss's own contribution to the performative romance becomes her deception fulfilled—we can only see what Katniss wants her Capitoline viewers to see, and we have no window into her less straightforward thoughts. Having been written after the conclusion of the trilogy, The Hunger Games has the opportunity to smooth over some of the book's rough spots. Its ending, in which a too-eager "Career Tribute" breaks under the pressures of the arena, is more interesting than the book's version, in which he continues to enjoy killing for glory. In the film the strange body horror (dogs with people parts? What?) of the book's final sequence, a perhaps conceptually creepy element of the text that never quite resonated and wasn't properly integrated with the thematic material of the rest of the book, recedes into the background. The finale is tighter and more coherent for its loss. For a movie about death, death is rarely at the core of the on-screen action. The fast, brutal, out of frame violence is neither glossed over nor rendered with pornographic emphasis. Without sufficient time to explore feelings or access to Katniss's consciousness, her "kills" seem justified self defense, and go largely unquestioned. We only have her discomfort with Peeta teaming up with the ultra-baddies, and his potential predation, to preserve that side of the book's meditation on how we participate in the violent misuse of power. Ultimately the film does miss some of the book's layers, some of the depth of the world and the uneasy relationship between people watching the violence and the audience watching them watching it, the juxtaposition of systems of control inside the text and outside it. Some of the book's strong sense of unease, which refuses to resolve neatly, comes through effectively in the movie, but when the film finished I felt less that lasting, perhaps productive, discomfort. The meditation on how we watch reality TV and on the constructions of narrative is sacrificed for a more straightforward dystopian political drama. But to an extent the film has an advantage over the book. The fact that it is visual means you have to do less. You can just enact reality TV and let that element of the meta happen.